MISSION: A gifted student helps her professor to solve a glitch in a government weapon, but soon finds herself the target of an ODI investigation and a terrorist wishlist. 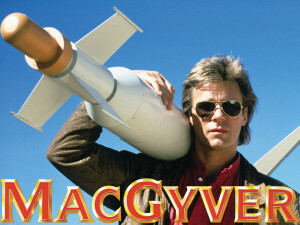 MacGyver intends to protect the girl from both teams. This week, a conversation with the incomparable Rob Paulsen, voice of a thousand characters, and many of your favorites whether you realize it or not. 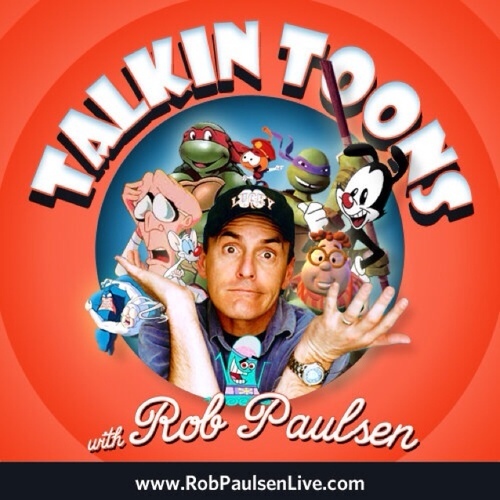 In addition to his prolific voicework, Mr. Paulsen hosts his own brilliantly entertaining podcast Talkin’ Toons (with a focus on voice acting and voice actors). If you haven’t already, I insist you give it a listen. His efforts can also be supported through his Patreon site here. Above all else, Mr. Paulsen is a champion of several charities including the Wounded Warrior Project and Operation Smile. If you have a moment, please take a look at each of these worthwhile organizations. Here’s a look at the Tacoma Narrows bridge collapse mentioned in this week’s episode. Say, does this missile/costume look familiar? Contrary to popular belief, triangulation has nothing to do with murdering shapes. In trigonometry and geometry, triangulation is the process of determining the location of a point by measuring angles to it from known points at either end of a fixed baseline, rather than measuring distances to the point directly (trilateration). The point can then be fixed as the third point of a triangle with one known side and two known angles. Watch S1E18: “Ugly Duckling” on CBS’s website or check the alternative streamability of this episode here.